New Delhi:“India is determined to address the challenge of TB in mission mode. I am confident that India can be free of TB by 2025.” This was stated by Prime Minister Narendra Modi as he inaugurated the Delhi End TB Summit and launched the TB Free India Campaign, here today. Shri J P Nadda, Union Minister of Health and Family Welfare, SmtAnupriya Patel, Minister of State for Health and Family Welfare, Dr Tedros Adhanom Ghebreyesus, Director-General, WHO, Ms.Lucica Difiu, Ex. Director, Stop TB Partnership along with the Health Ministers from 20 countries were also present at the inaugural function of the summit, which is being co-hosted by the Ministry of Health and Family Welfare, Government of India, WHO South East Asia Regional Office (SEARO) and Stop TB Partnership. The Prime Minister said that this event will always be known as a landmark event towards the elimination of TB in the World. “The global target for eliminating TB is 2030, but today I announce that the target for India to eliminate TB is 2025, five years before the global target,” the Prime Minister added. He further stated that TB mainly affects poorest of the poor and every step taken towards the elimination of this disease is a step towards improving the lives of the poor. 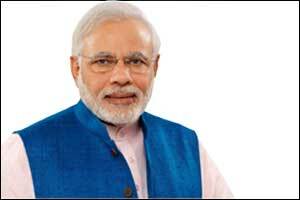 The Prime Minister stated that State governments play a very important role in elimination of TB. “Thus strengthening the spirit of cooperative federalism, I have personally written to the State Governments to join in this mission,” the Prime Minister said. The Prime Minister further stated that the frontline workers also play a crucial role in TB elimination along with the people who have demonstrated great courage in defeating this disease. He applauded their courage. Citing the of examples of Mission Indradhanush and Swachh Bharat, the Prime Minister said that immunization and sanitation coverage has increased drastically in the last four years, therefore a right approach is needed to achieve the targets. These are crucially associated with a healthy society. The Prime Minister also mentioned about the two major initiatives in health sector, as part of Ayushman Bharat programme. He said that the National Health Policy, 2017 has envisioned Health and Wellness Centres as the foundation of India’s health system. Under this, 1.5 lakh centres will bring comprehensive primary health care systems closer to the homes of people. He further said that under National Health Protection Scheme, the second flagship programme under Ayushman Bharat, 10 crore poor and vulnerable families (approximately 50 crore beneficiaries) will be provided a coverage upto 5 lakh rupees per family per year for secondary and tertiary care hospitalization. This will be the world’s largest government-funded health care programme. Adequate funds will be provided for smooth implementation of this programme, he elaborated. Speaking at the function, Shri J P Nadda, Union Minister of Health and Family Welfare, said that the unwavering support of the Prime Minister has always been a source of great inspiration. Shri Nanda further stated that it is the Hon’ble Prime Minister who has driven us to take this ambitious task upon ourselves to advance our targets and accelerate our actions. Reiterating the commitment of the Government, Shri Nadda stated that to achieve ‘End TB’ targets, the Government has rolled out new `National Strategic Plan (NSP) to end TB by 2025` which has been appreciated by the global community as a model plan for combating Tuberculosis. “We are starting new scheme for nutritional support, expanding public-private partnership models and aligning our strategies to follow the similar success we got in HIV /AIDS. We are using Information Technology (IT) tools for monitoring the programme and treatment adherence. Community engagement is the hallmark and it is becoming a social movement to End TB in India,” ShriNadda elaborated. Shri Nadda further said that budget will never be an issue for health schemes and this has been demonstrated by increasing the budget for health and through the announcement of two path breaking initiatives under ‘Ayushman Bharat’ that address health holistically. He further mentioned that to reduce out of pocket expenditure for poor, the Government has started Affordable Medicines and Reliable Implants for Treatment (AMRIT) pharmacies across the country and have made stents and knee replacement affordable for the common man. Speaking at the function, Dr Tedros Adhanom Ghebreyesus, Director-General, WHO said that this is the right place to have this event and India’s plans to achieve the targets 5 years before the global target is bold, courageous and ambitious.Dr Tedrosthanked Prime Minister for his personal and political commitment and said that such commitment is needed to win the war against TB. Shri J P Nadda and Dr Tedros Adhanom Ghebreyesus, Director-General, WHO also chaired a session on “Tracking Progress on Delhi Call to Action”. Shri Nanda also presided over a meeting with State Health Ministers. He highlighted the importance of active participation by the States through intense review and regular monitoring, to meet the time bound goal of ending TB by 2025. TB is the leading infectious killer in India. There were an estimated 28 lakh new cases of TB in 2016, with over 4 lakh people succumbing to the disease, including those with TB and HIV. The new NSP adopts a multi-pronged approach which aims to ‘Detect’ all TB patients with an emphasis on reaching TB patients seeking care from private providers and undiagnosed TB in high-risk populations, ‘Treat’ all patient irrespective of where they seek care adopting a patient centric approach, ‘Prevent’ emergence of TB in susceptible population groups and ‘Build’ empowered institutions and human resources to streamline implementation. India is also implementing the National Strategic Plan for TB elimination that is backed by a historic funding of over 12,000 crore rupees for the next three years to ensure every TB patient has access to quality diagnosis, treatment, and support. The Prime Minister’s vision to end TB by 2025, five years ahead of the SDG’s has galvanized the efforts of the Revised National Tuberculosis Programme, which has treated over 2 Crore patients since its inception. Also present at the event were Health Ministers from the States, senior officers of the Ministry and representatives and delegates from across the globe.